Born in Hungary, Grunwald moved to the United States in 1921 and settled in the New York area. A prodigy of New York's Art Students League, his work spanned many modern American movements from the WPA to Abstract Expressionism. During his lifetime, Grunwald exhibited alongside other popular artists such as Paul Klee, Jean Arp, Max Ernst and Charles Burchfield. 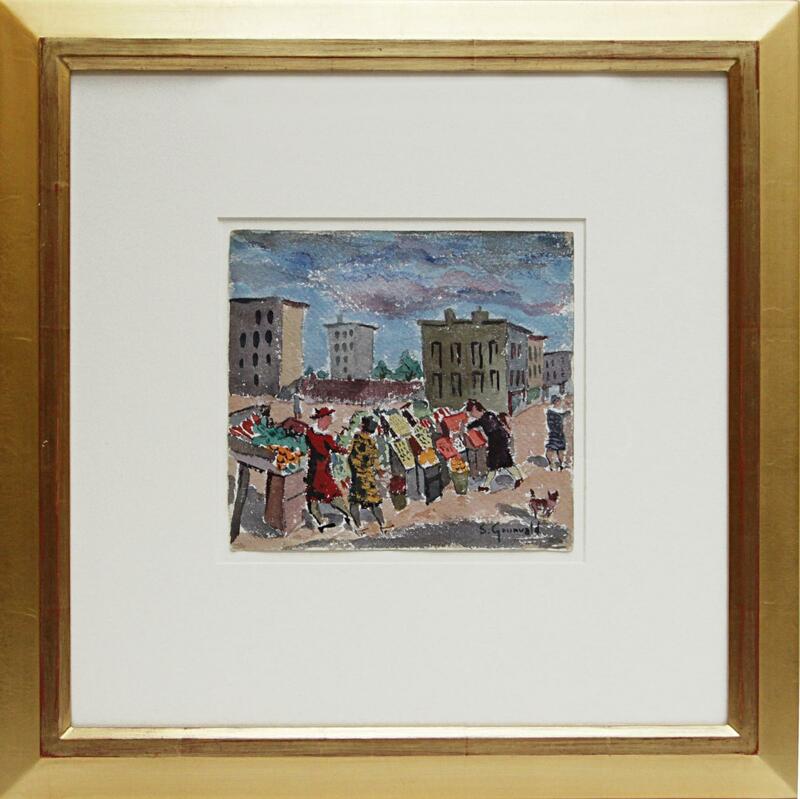 A highly prolific artist, it was said that Samuel Grunvald painted every day of his life. His favored medium was watercolor, and he painted most often in series. Some of his popular themes included: New York scenes, genre paintings, the American countryside, and the abstract. 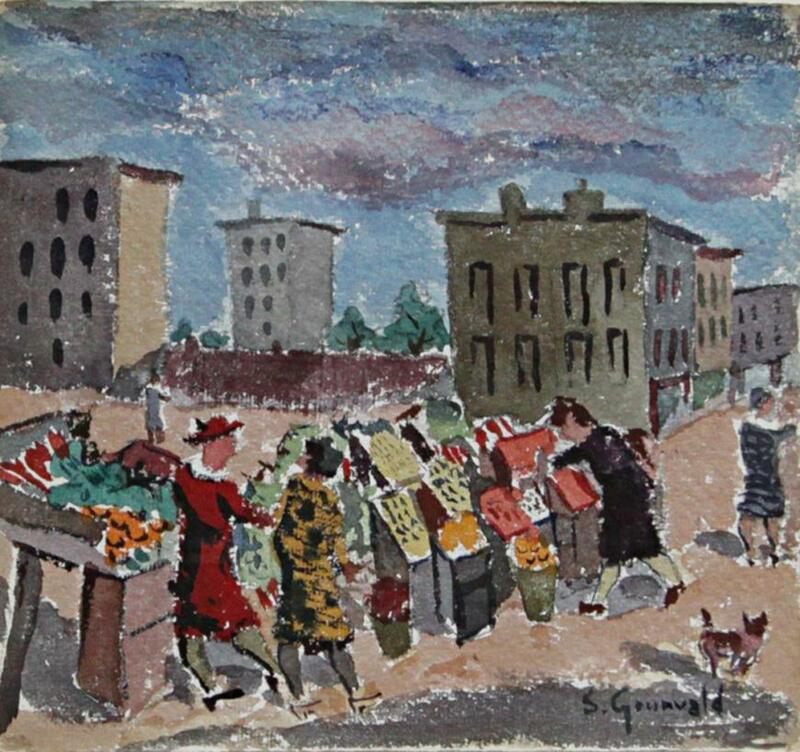 Fruit Market, Lower East Side is a lively, and somewhat abstracted rendering of a bustling city outdoor market. Grunvald painted his figures in a strong linear fashion against a line of bins filled with edible foods and flowers in a patterned arrangement of planes and color. His vibrant colors and bold brushstrokes exude a sense of dynamism and energy and reflect a strong Modernist influence.